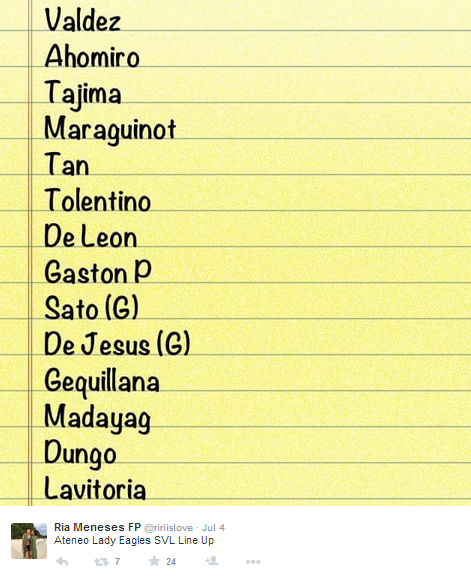 Tweet Scoop: This is the tentative Ateneo Lady Eagles team line-up / roster for the upcoming Shakey's V-League Collegiate Conference 2015. Sources said that Amy Ahomiro will be the team captain . Check this out!